Fabulous Paul home in Cape Royal. 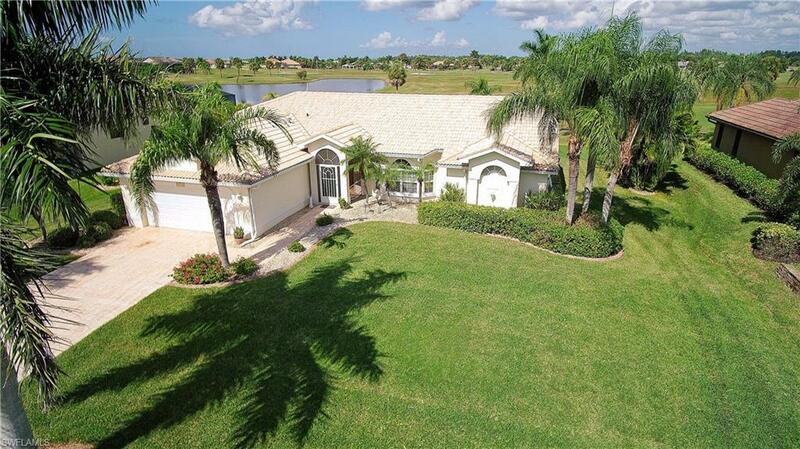 Lushly landscaped with a sparkling heated pool and spa with pavers on the large lanai for entertaining. This home is very well maintained and has a great layout with a large great room with cathedral ceilings. Nice sized guest bedrooms and plenty of storage. Eight foot sliders in great room and master bedroom afford a beautiful view of the golf course and lake. Tile roof, stamped concrete driveway and hurricane shutters on the home. Granite countertops in the kitchen and both bathrooms in this gorgeous home on one of the most sought after streets in Cape Royal. Cape Royal is a Premier Country Club and Golfing community with super low HOA dues and in unincorporated Lee county which equals lower taxes. Bring your best buyers because this home will not last!!! This is the best priced home in the entire community and it is very clean and shows great! Check out the virtual tour! Selling Office: Sun Coast Global, Inc.